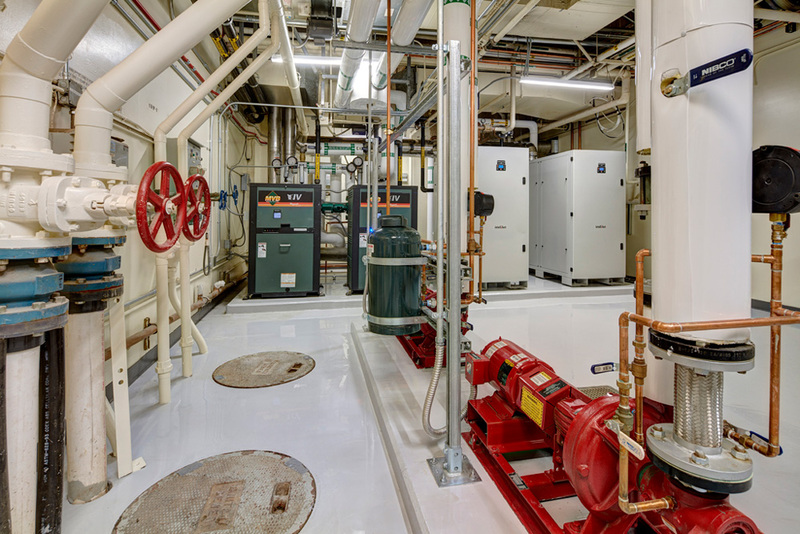 The intent of this project was to replace the original building chillers, pumps, cooling towers, and automated controls. 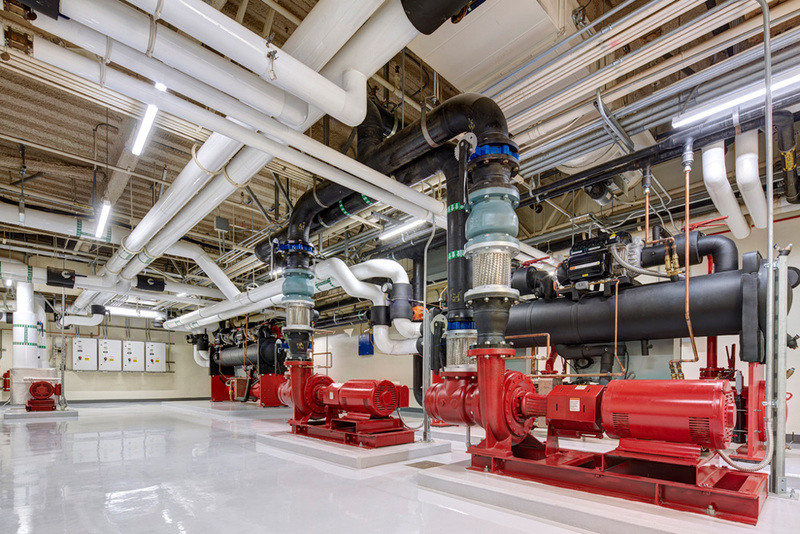 Due to the existing location of the chillers and the requirement for temporary cooling, substantial modifications were needed to the piping system prior to the removal of any equipment. 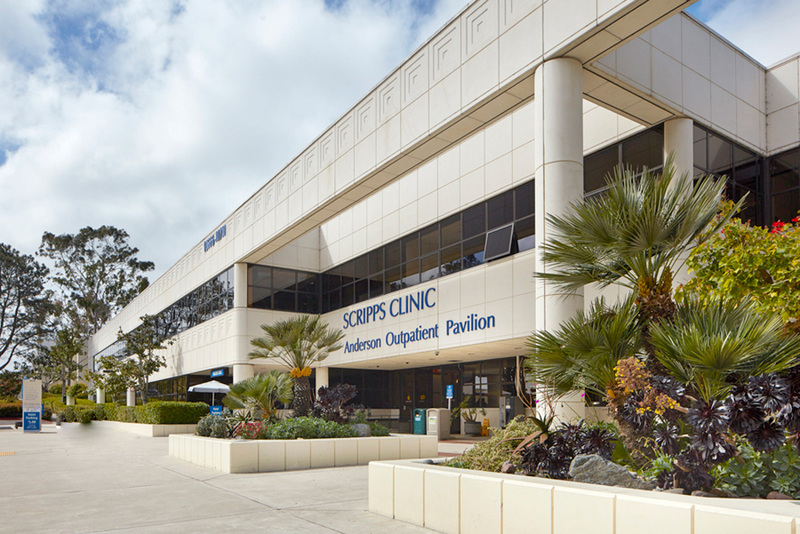 The logistics of temporary cooling on an existing hospital campus is very complex, due to limited space. 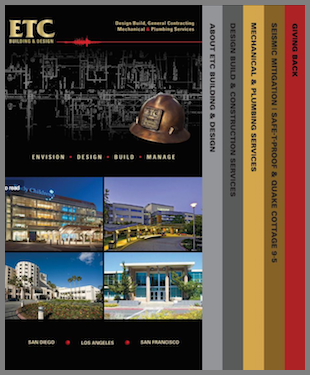 ETC was required to develop a plan that would limit the length of the electrical feeders while maintaining the patient walkways with no trip hazards, ETC and its team erected scaffolding in order keep these areas clear of temporary chilled water piping and electrical wires. The existing electrical system did not have adequate power to supply the new chillers and the temporary chillers simultaneously, making testing of the chillers nearly impossible, after multiple team meetings and ETC’s recommendation of adding a new 800 amp disconnect in order to power the temporary chiller the project was able to commence. 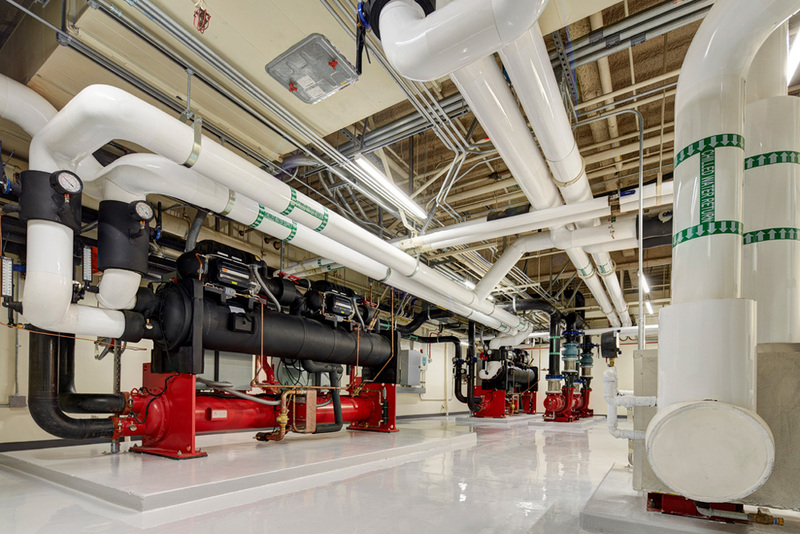 By adding the new power it eliminated the need for large generators occupying valuable real estate and multiple shutdowns to the facility, allowing us to accelerate the construction of the new chiller plant. 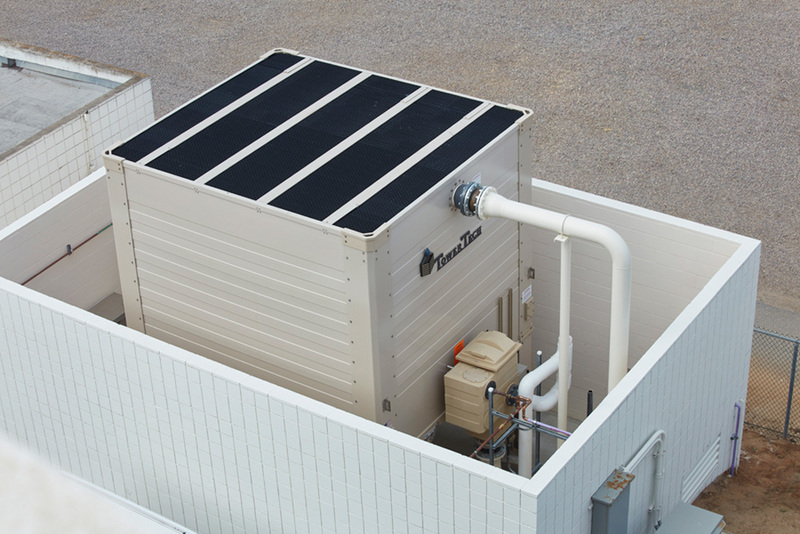 ETC also helped with the recommendation of a different cooling tower by Tower Tech that had better performance and warranties then the originally specified units along with lower noise levels, reduced drift, and greater electrical efficacy. 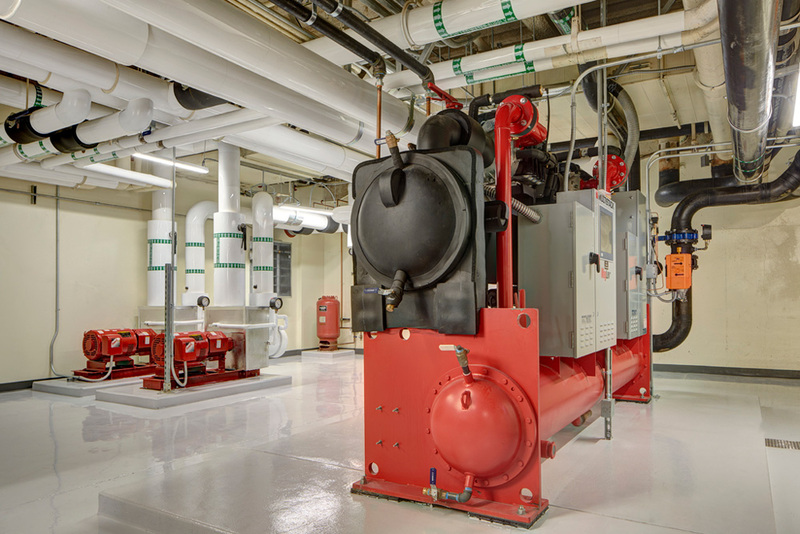 Project also included structural concrete, establishing a new 2 Hour Rated room to contain refrigerant gasses, updated fire alarm, and modifications to existing utilities to establish a path of travel for the new equipment.